The word is seeing a lot of Inspiring persons continuously. Some inspire us with their Heart and some inspire with their Brain. Few people inspire us with both their helping Heart and amazing Brain. One such person is the French educator Charles Michèle de l’Epée. Many of us are coming to know about him only after seeing below animated Doodle shown by the Search Engine Google for celebrating his 306th Birthday on 24th November 2018. But he made a significant change in the life of a lot of Poor People, especially Deaf. In fact, he is known as “Father of the Deaf”. Charles Michèle de l’Epée devoted his Life for developing the world’s first Sign Alphabet for Deaf. Charles-Michel de l’Épée was born to a wealthy family on 24th November 1712. He studied to be a Catholic priest but was denied ordination as a result of his refusal to denounce a reform movement of French Catholics known as Jansenism. He then studied law before devoting his life to serving the poor. Though he was from a Wealthy Family, he turned his attention toward charitable services for the poor. One day, in the ‘slum of Paris, he saw two deaf sisters who were communicating through their own sign language. Épée decided to dedicate himself to the education and salvation of the deaf and, in 1760, he founded a school which is the world’s first free school for the deaf. He used his own inheritance to found this school which was open to all regardless of their ability to pay. He started teaching them using a form of hand signals that substituted the sounds of the alphabet. He quickly achieved measurable success. 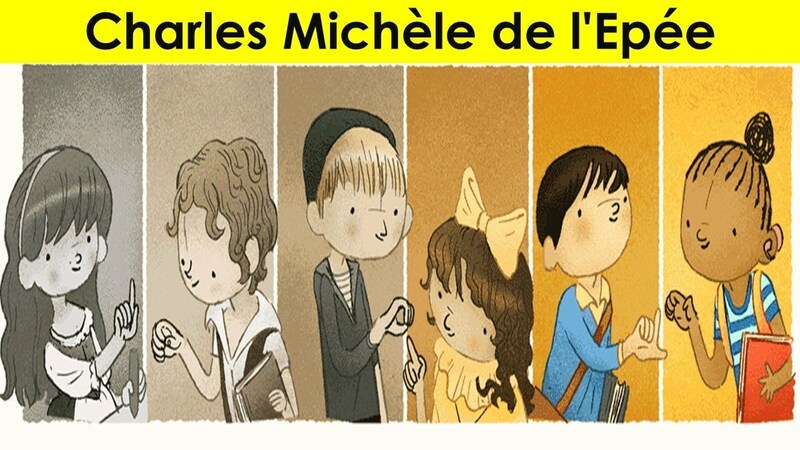 Charles-Michel de l’Épée believed that deaf people must learn visually what others acquire by hearing, and his method of teaching laid the foundations for all systematic instruction of the deaf. The French National Assembly eventually recognized him as a “Benefactor of Humanity” and asserted the rights of deaf people under France’s Declaration of the Rights of Man and of the Citizen. Épée died at the beginning of the French Revolution in 1789. Charles-Michel de l’Épée was not the only person who tried to find a way to teach Deaf. A lot of other people were also doing it with their own secret technique. And, there were serving only the wealthy people, and they took their secret methods with them to their Grave when they died. But Épée made his method Open and encouraged everyone to learn and teach his method, even he allowed the other Countries to develop a similar thing for their local language based on his method. That’s how he became the father of the Deaf.